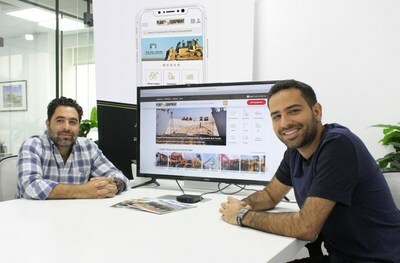 DUBAI, UAE, March 25, 2019 /PRNewswire/ -- Middle East Strategic Advertising (MESA) launched PlantAndEquipment.com in September, an online platform catered for the heavy equipment and truck industry. PlantAndEquipment.com helps sellers build a better network that allows for profitable growth. The goal of the website is to enhance visibility for local heavy equipment and truck dealers in order for them to sell their listings to global emerging markets including the Middle East, Africa, Southeast Asia, and Europe. Sellers can now have their own personalized dealer page, accessibility to post equipment online, and share equipment listings and dealer pages on any online platform. Unique visitors have more than doubled each month since the website was officially launched in September 2018. Website traffic has originated from Turkey, United Arab Emirates, Saudi Arabia, India, Egypt, Singapore, South Africa, and from many more emerging markets. Construction equipment and truck listing enquiries have increased significantly each month, allowing dealers to facilitate in selling their products through PlantAndEquipment.com. With the aggressive growth into the Middle East, Plant & Equipment is also increasing MENA sales team as well, hiring multiple workforce team members throughout the region including in Saudi Arabia and Egypt to produce new partnerships. Zayd Kuba, Managing Director of MESA, expects Plant & Equipment to represent over 100 dealers throughout the Middle East alone including from the United Arab Emirates, Saudi Arabia, and Oman. "Heavy equipment dealers particularly from the GCC are searching for new ways to sell their products within the construction and mining industries," says Kuba. "Our job is to fill this gap and help all heavy equipment dealers in the Middle East not only sell in local markets with our traditional magazines but globally through our online platform." In terms of publishing, the MESA management team has rebranded the magazines, including the logos for Plant & Equipment and Trucks & Transport, increased magazine size, and increased content related to the heavy equipment and trucks industries. Currently, Plant & Equipment Middle East and Trucks & Transport monthly distributes over 10,000 magazines throughout the Middle East including the GCC, Iraq, Lebanon, and Jordan. Plant & Equipment Africa distributes monthly over 5,500 magazines including Egypt, Nigeria, Ghana and Southern Africa. In addition, Plant & Equipment and Trucks & Transport has partnered with many exhibitions including bauma, The Big 5, and Automechanika. Visit PlantAndEquipment.com to learn more.